Sometimes the best things in life happen purely by accident. Victoria, BC electro-rock band Celebrity Traffic will gladly attest to this fact. At one point in their career, the group was on the verge of being in tatters. Their guitarist picked up and moved to Montreal while their drummer put a stake in the ground to say that he wasn’t necessarily interested in continuing. As such, the remaining trio assumed their little band had reached the end of the line. Luckily, that wouldn’t prove to be the case. At what was supposed to be the band’s final rehearsal after having been trimmed down to a trio, one of the band members brought his computer in and the group laid down some basic beats. Six hours later, the group had half of their EP written and history began anew. 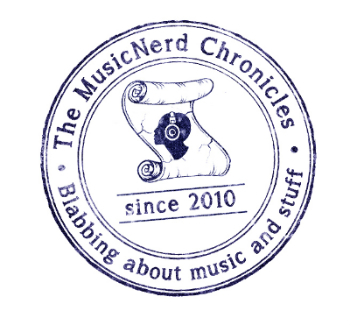 Celebrity Traffic’s Brandon DeLyzer recently took the time to chat with The MusicNerd Chronicles in regards to how the band came together and the state of electronic music in Canada. So exactly how big of an accident was it that you guys got together? DeLyzer: It honestly was a big accident. I know a lot of bands say that but it really was with us. We used to be a five-piece rock band, playing Queens of the Stone Age-inspired music that had a bit of synth over top of it. Then after our guitar player moved and our drummer left the band and we had one final practice scheduled. I had been messing around with electronic music, doing beats for different TV shows, and using that as the base of our music with Joel continuing to play bass and Shawn playing guitar and singing, we decided to try something a little different. In a lot of ways, we really didn’t know what we were doing [laughs] but we ended up writing much of our EP that night. Was electronic music something that each of you, Shawn and Joel were into? DeLyzer: Shawn grew up listening to Elvis and Woody Guthrie and stuff where Joel was very much into electronic music. I appreciated both styles of music and was kind of the happy medium between the two. With the current state of the music biz, artists seem to be more willing to blur the lines between genres more so now than any time in the past. I’m assuming that this lack of restrictions around music suits you guys well? DeLyzer: I think people have been mashing genres together for a long time now but yeah, it seems like there is a lot more freedom right now than perhaps any other time in the past. It is super easy to make music and get it out to the public than any time in the past. There is less pressure to stick to one particular sound over the course of your career now. When I was growing up, you were either a heavy metal kid or a hip hop kid; you were essentially associated as being a fan of one genre only. Nowadays though, a band’s sound can go anywhere and as such, music fans are embracing a much more diverse spectrum of music. It is good to see those barriers coming down. With guys like Skrillex winning Grammy Awards and Deadmau5 selling out shows, electronic music seems to be gaining more and more in terms of momentum as the years go on. Why do you think this is? DeLyzer: I remember going to see Mstrkrft in 2005 and no one was into it but now , it is so much more accepted. Look at Skrillex taking home those Grammy Awards this past year. I think that Canada has some amazing electronic music artists but it’s almost as though they need to have their success validated outside of Canada to be successful here at home. Regardless though, it is really encouraging to see the way that electronic music is nudging its way into the mainstream.